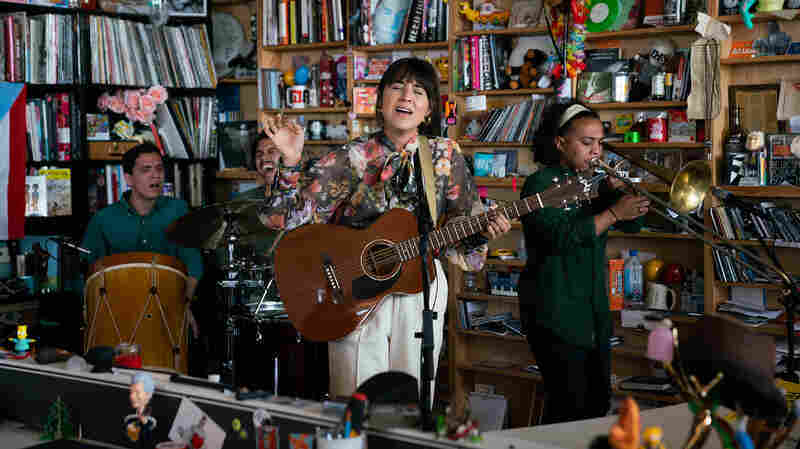 Watch Common, Brandy, Andra Day And More Perform At The Tiny Desk August Greene, Common's new trio with Robert Glasper and Karriem Riggins, brought some special guest vocalists to the Tiny Desk. 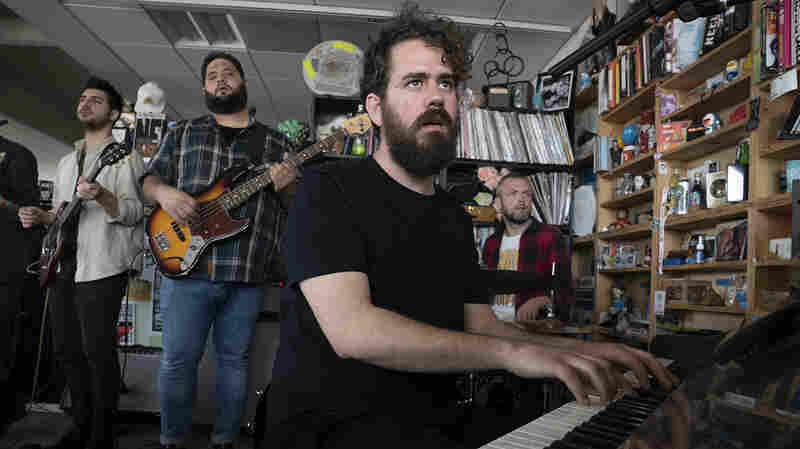 August Greene, the collaborative effort of Common, Robert Glasper and Karriem Riggins, was born at the White House in 2016 during a special Tiny Desk concert. 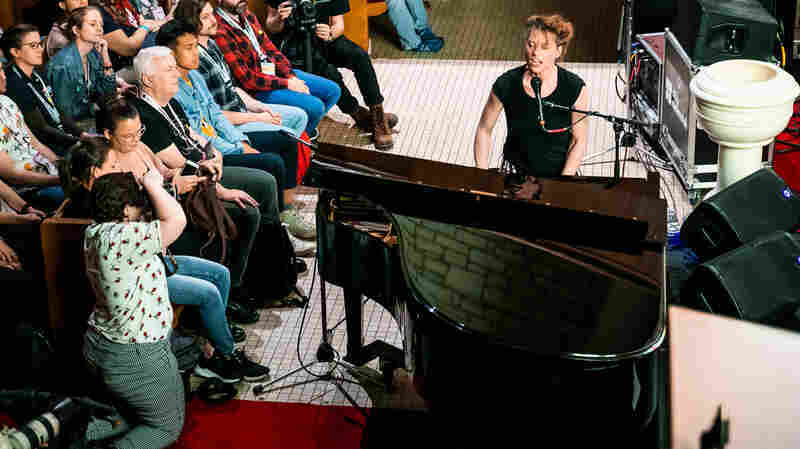 It was during that unprecedented performance that the then-untitled ensemble premiered the powerful "Letter to the Free," an original song for Ava DuVernay's Netflix documentary 13th that eventually won an Emmy for Outstanding Original Music and Lyrics. 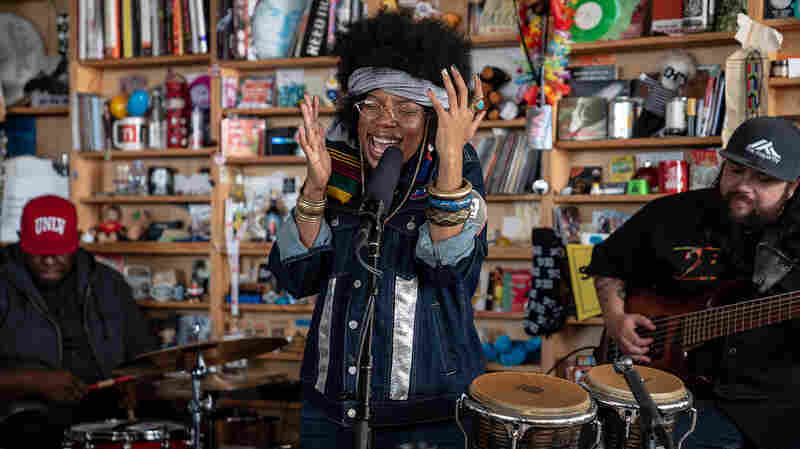 For the trio's first visit to NPR headquarters, they brought some special guests: vocalists Brandy, Maimouna Youssef and Andra Day. 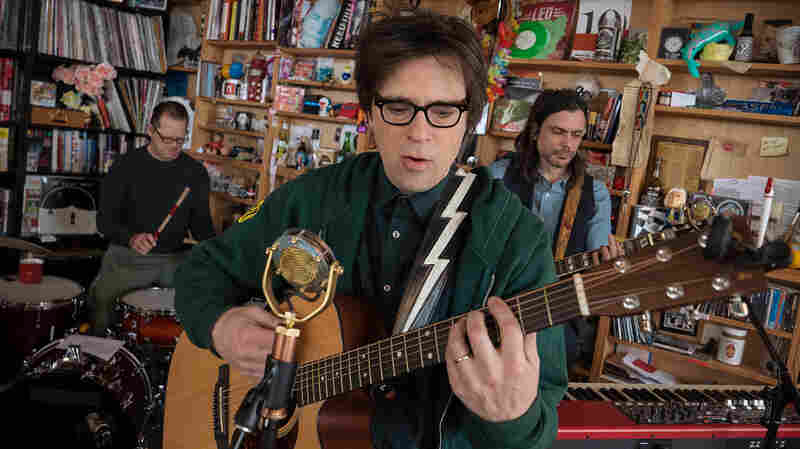 The band performed four tracks from its upcoming self-titled album (out March 9 on Amazon Music), an impromptu freestyle, and Day's Oscar-nominated collaboration with Common, "Stand Up For Something," from the film Marshall. 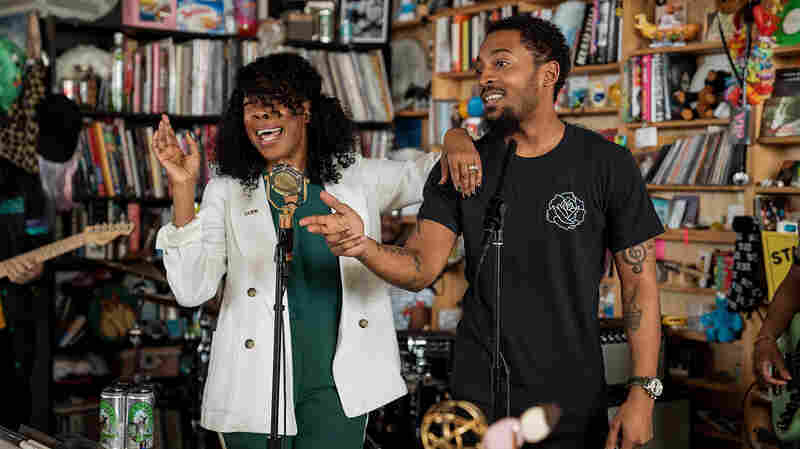 Common described the theme of the Tiny Desk as "Foregrounding Women," alluding to the attendance of Brandy, Day and Youssef, as well as the spiritual presence of Glasper's younger cousin, Loren, who passed just a few days prior. 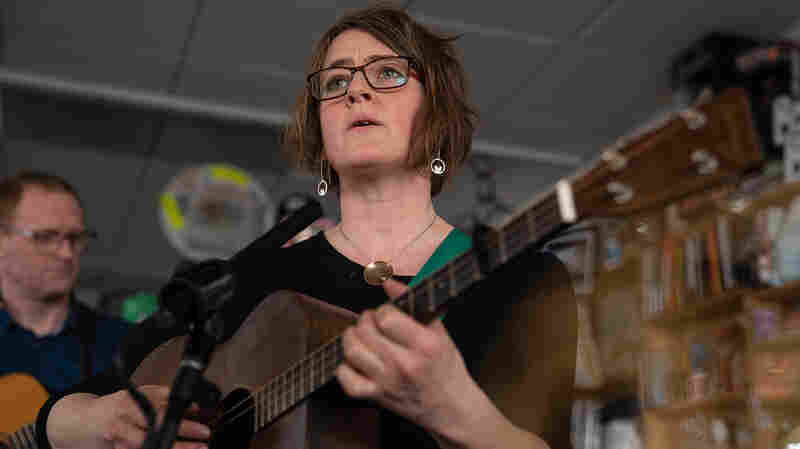 The past year has been a pivotal time for women, between #MeToo and social and financial equality, and the lyrics to these songs frame women's contemporary frustrations as civil rights issues. That's important in hip-hop, which has long been dogged by an old-line adherence to misogyny, as it lays claim to the world's most popular genre. 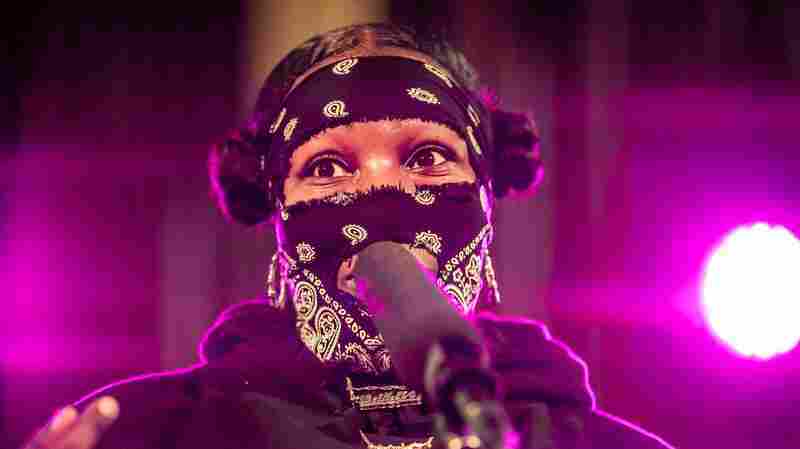 In a spontaneous moment midway through Maimouna Youssef's verse on "Practice," the crowd gushed and you could see the joy in her eyes. Then the ebullient pop icon Brandy reprised Sounds Of Blackness' 1991 classic "Optimistic," and the magic held everyone rapt. Andra Day followed up with "Stand Up for Something"; her powerful voice blew the hinges off the doors. 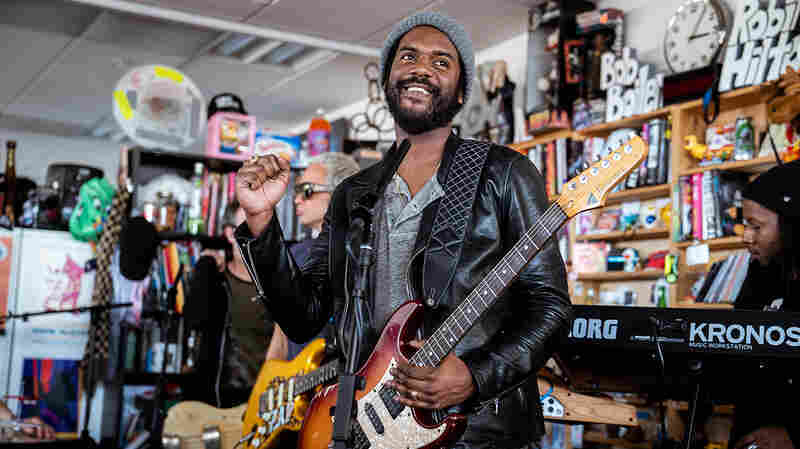 August Greene's latest single, "Black Kennedy," connotes dreams of an African-American dynasty, the kind only a royal family assumes. The stark contrasts of disenfranchisement are highlighted by every wish expressed. Later, in "Let Go," vocalist and August Greene collaborator Samora Pinderhughes sings of overcoming darkness within yourself and finding hope at the bottom of Pandora's box. It's about releasing the demons so the hands can hold the blessings. 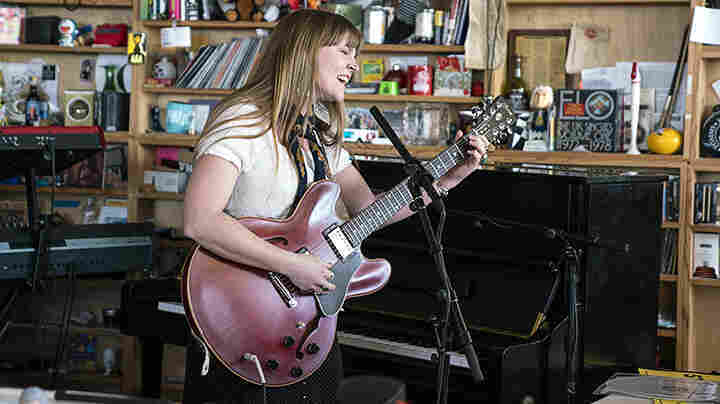 Producers: Abby O'Neill, Morgan Noelle Smith; Creative Director: Bob Boilen; Audio Engineer: Josh Rogosin; Videographers: Morgan Noelle Smith, Maia Stern, Kara Frame, CJ Riculan; Production Assistant: Joshua Bote; Photo: Eslah Attar/NPR.